A new study has been announced by researchers from Macquarie University with the aim of identifying 100 species whose ranges, if adequately protected, restored or managed, would maximise the protection of the world’s biodiversity. The research has been commissioned in conjunction with the newly established conservation organization WildArk, who are committed to protecting the world’s wild places and helping people reconnect with nature. “If you can imagine that a pride of lions requires a home range to survive, and we were able to protect, restore and manage that range, think of the multitude of creatures; birds, insects, plants and animals, that would also be protected” said Hutchinson. The team of Macquarie scientists, housed in the Department of Biological Sciences, will draw from principles of ecology, economics and modern decision science to narrow down the world’s roughly 40,000 vertebrates into a list of 100 species. A key consideration for the WildArk100 is the charisma of the species. “Understanding what motivates people to care about and invest in one species over another has received a lot of attention when it comes to large vertebrates,” said Jennifer McGowan, a research officer at Macquarie. “We all know about polar bears, elephants and pandas because they are iconic, charismatic flagship species. 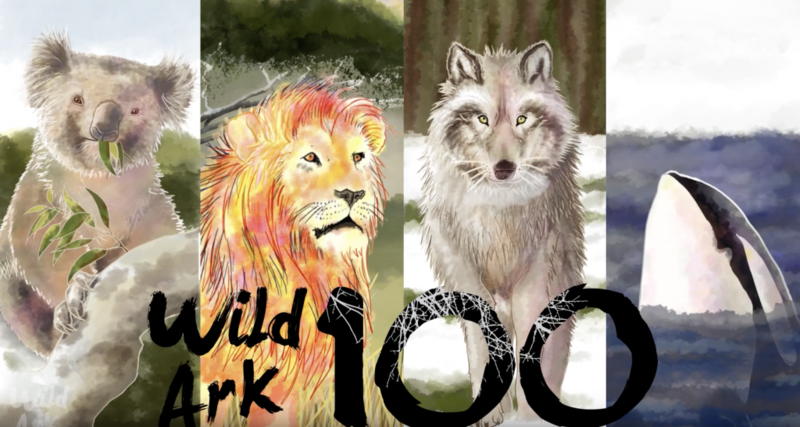 What is novel about the WildArk100 list is that it will likely include many lesser-known species that can also deliver a big benefit to global biodiversity,” said McGowan. A member of the investigative research team Dr David Nipperess, also based at Macquarie, said “We want to create a list of species that is truly representative of Earth’s biodiversity so that we can make sure as many other species and habitats as possible are covered by their collective umbrella”. The traditional approach to biodiversity conservation has been the establishment by governments of parks and reserves, and multilateral environmental agreements, such as the Ramsar Convention. While the Aichi Biodiversity Targets in the Convention on Biological Diversity call for an increase in the area of land and sea that is included in protected areas, most organisms occur outside the boundaries of parks. Hence, other approaches to conservation, such as those being championed by WildArk are vital to safeguard biodiversity,” said Dr. Linda Beaumont, from Macquarie University. The investigative research team from the Department of Biological Sciences at Macquarie University will be lead by Dr Linda Beaumont in conjunction with Dr David Nipperess, Dr Rachael Dudaniec, Mr John Baumgartner, Dr Manuel Experon-Rodriguez, Associate Professor Adam Stow, Professor Robert Harcourt, Professor Andy Beattie and research associate and WildArk scientist in residence, Jennifer McGowan. Research findings are expected to be released later in 2017.